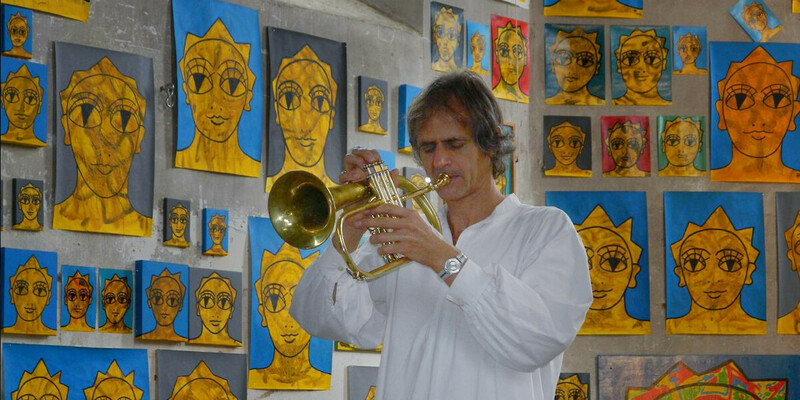 You're currently browsing page: /trompeter-musiker-komponist/157/musikglanzlicht-in-hausens-alter-dorfkirche/?lang=en of www.markusstockhausen.de. Markus Stockhausen causes goose pimples and shouts of delight. 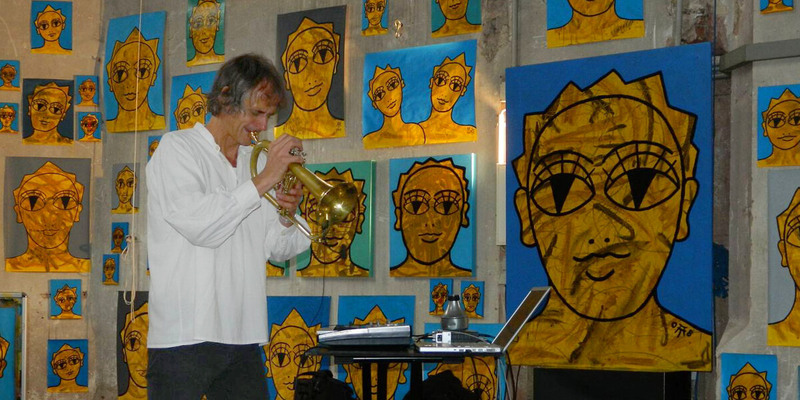 Highly concentrated and highly innovative, before the paintings of Gunther Schwind in Hausen Markus Stockhausen presents his improvisations on the flugelhorn. What Markus Stockhausen had on offer during the 90 Minuten concert transferred the tiny Hausen into a music Mekka for enthusiasts. 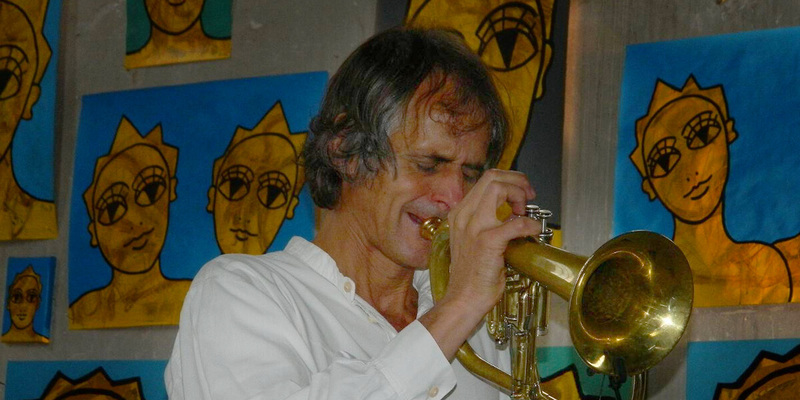 The trumpeter celebrated with flugelhorn, trumpet and piccolo a total artwork and one from which there was no escape and which left a clear mark on the audience. It was highly intensive music with a strongly improvised character…with harmonics that enchanted the listeners from the very first moment. With a crystal-clear high note, Stockhausen gave the signal for intense concentration in the audience and it soon became clear why speakers and computer were connected next to the soloist. Stockhausen implements live electronic music in surprisingly innovative way and takes advantage of technical innovation in order to achieve a sound experience of a very special quality and he does this without sacrificing creativity for electronics. Quite the contrary. Electronic music… highlights the solo qualities and brings about sounds that otherwise are seldom heard. This culmination in the musical calendar of the district of Miltenberg ended in several minutes of enthusiastic applause and three encores from the musician.